Outbound passengers having checked in the airlines shall have their baggage, including check-in and carry-on baggage, examined by the X-ray machine. 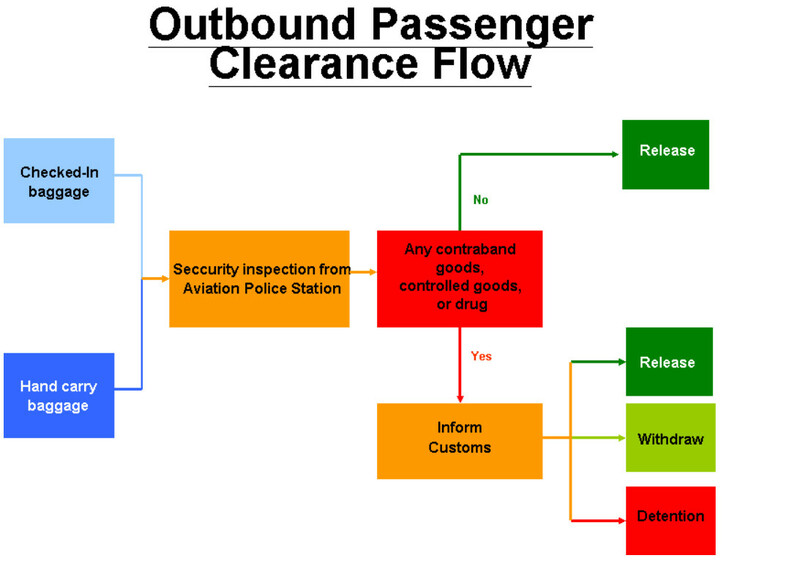 All baggage will be bypassed if no suspicious item is found; otherwise, manual examination will be conducted, and the restricted or prohibited items will be asked to withdraw. The controlled items and narcotics will be detained and transferred to the authorities in charge.